After watching through all three seasons of HBO’s Silicon Valley, you probably feel like a member of Erlich Bachman’s cramped incubator. But how well do you really know his Silicon Valley home? Drawbotics, a company that makes 3D real-estate visualisations, took some time to create detailed layouts of some fictional properties that only exist on TV. 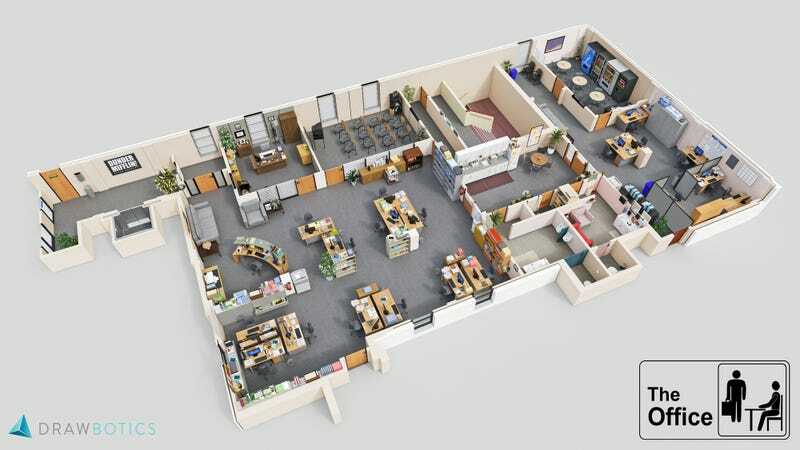 Even one of the most famous offices on TV — that of NBC’s The Office — gets a 3D treatment that includes Michael’s office and the vending machine-packed break room. They also tried their hand at Parks and Recreation, Mad Men, Brooklyn Nine-Nine, Suits, and the basement office dwellings of Roy, Maurice, and Jen of The IT Crowd.